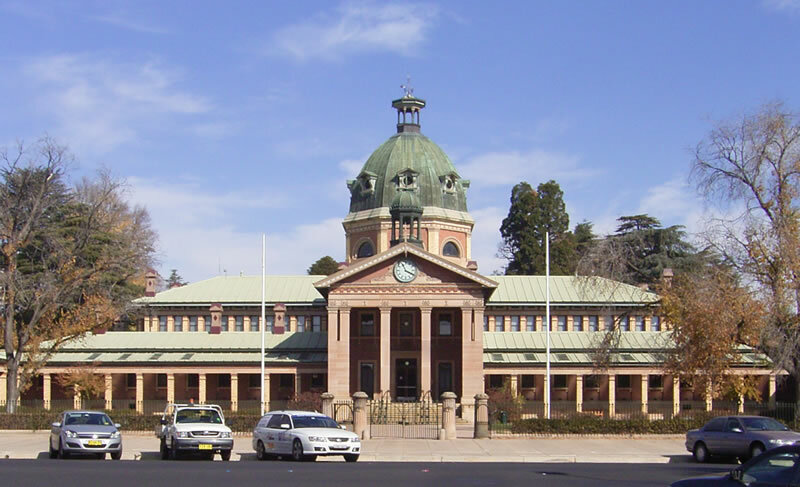 Bathurst is a regional city in the New South Wales Central Tablelands, it is located approximately 3 hrs from Sydney and can be reached by a NSW TrainLink or CityRail Service. Bathurst is most commonly associated with the Gold Rush and Mount Panorama Racetrack. The Courthouse which was built around 1880 is located in Russell Street in the town’s centre and is regarded as the towns most renowned public building. It was designed by Colonial Architect James Barnet and features a Octagonal central dome. The courthouse houses the Local, District and Family Courts for the area. If you require an experienced Criminal or Traffic Lawyer to act for you at Bathurst District Court, Click Here to request an appointment with Sydney Criminal Lawyers® or call us on (02) 9261 8881 to get the help of one of our experienced lawyers today.